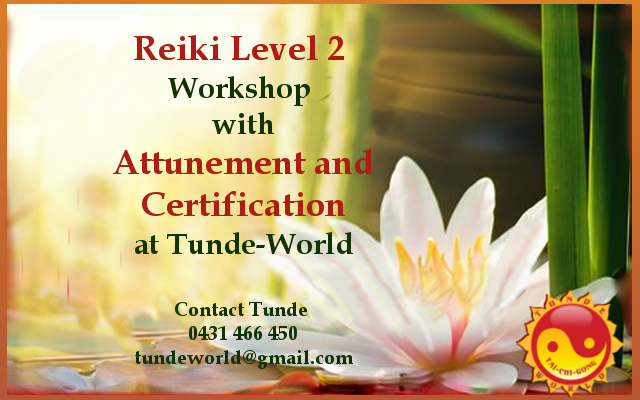 Reiki Certification Training Level2 | Tundeworld! Reiki Level II Program. Advanced Reiki Technique. PROFESSIONAL TRAINING. Completion of Level 2 qualifies you as a Reiki Level 2 practitioner and permits you to work as a professional healer if you choose to. 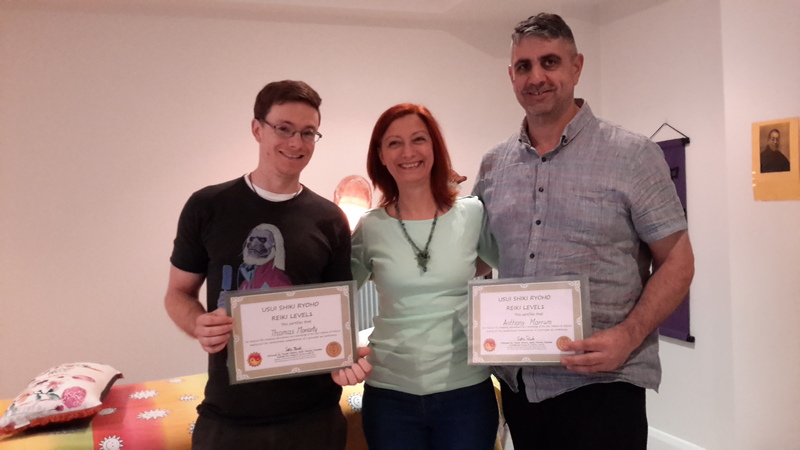 Course is recognised by Australian Reiki Connection professional body. Reiki level 2 doubles your energy from level 1 and deepens your healing on an emotional and mental level, as well as the physical body. Reiki Level 2 will give you the tools to clear and balance energies of the past and future. You will receive three sacred Reiki symbols. These powerful symbols can be used to energize your body, clear past lives or trauma, and magnetize positive energy for the future. You can apply the Reiki level 2 symbols to cleanse your home or office, empower your business cards or website, and send Reiki for successful public speaking events and more. Why Study Reiki Level 2? Access a deeper understanding of the secondary limb chakras to strengthen client healing. Access manifesting tools using Reiki symbols. Completion of Level 2 qualifies you as a Reiki Level 2 Practitioner and permits you to work as a professional healer if you choose to. Increase your own vibration through deep self-healing. You will be certified the 2nd Level Certificate of Usui Shiki Ryoho Reiki as a Reiki Level 2 professional practitioner on the 21st day at Energy Share. Pre-Requisite: Reiki Level 1 Certification 3 month prior. Become A Certified Traditional Usui Reiki Professional Practitioner. Enroll Today! Bookings are essential. We are prefer the small group.